Searching for a ready-to-go iPhone security camera with the mobile app to view the security live and footage anywhere easily? Or you just want to do some DIY job to turn your old iPhone or iPad into a security camera and make it serve you better? Either way, you can find the best iPhone security camera solution here, within minutes! Security cameras for iPhone are connected to home networks so that you can view what is going on there, even when you are hundreds of miles away. A security camera for iPhone not only allows live view inside and outside the local home network, but also sends you push notifications and email alerts with pictures and videos to make sure you will not miss a thing. Better than that, some iPhone security cameras from top security camera brands, take a step further to use the P2P technology, so you can link the security camera to iPhone in a breeze without any complex configuration. Anyone can handle it within minutes. Step 1. 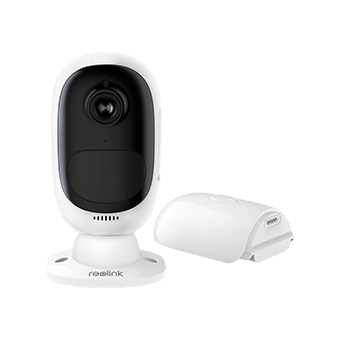 Install security cameras iPhone app, like the free Reolink app. Step 2. 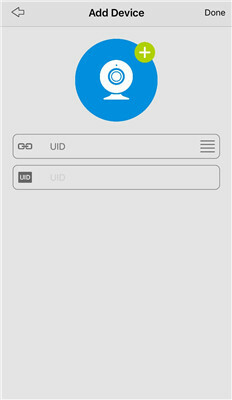 Launch the app and add iPhone security cameras to the app by entering the UID (Unique ID) and password. Step 3. Click on the feed to view the live of security camera on iPhone. To make things even easier, there are wire free security cameras with iPhone app which allows you to install the camera anywhere indoors and outdoors without wire hassle, literally. For example, the popular Reolink Argus 2. 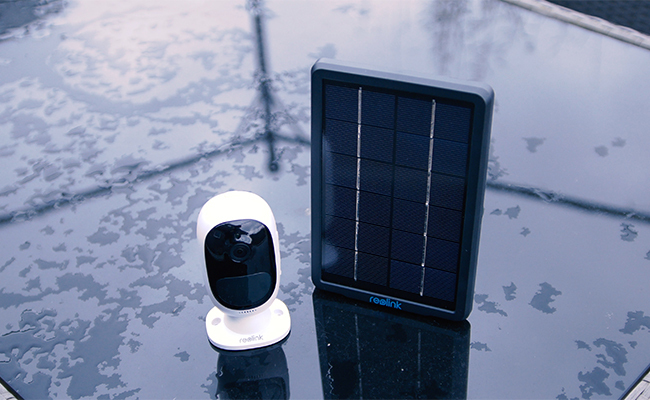 100% wire-free, easy to set up; easy to connect to iPhone inside and outside network; 1080p super clear live view; compatible with Synology Surveillance Station, iSpy and other third-party software. If you are looking for an outdoor iPhone security camera, then also make sure it gets, at least, IP65 weatherproof rating to stand the elements. Having an old iPhone or iPad laying in your drawer and catching dust is shameful. So, why not turn it into an iPhone/iPad security camera? And here we will address the most critical issue of this type of iPhone security camera: How to use old iPhone as a security camera? Before we get down to the details of the iPhone security camera setup, it’s worth noticing that the security cameras using iPhone can’t handle 24*7 recording for the overheat and battery life issues. And those iPhone CCTV camera apps usually come with limitations in features and are dependent on WiFi to work, which may stress your home network. To start the project, the key point is to look for an iPhone security camera app, actually, which can works smoothly in your iPhone 7, 6, 8, 6s, 7 Plus, SE, 5S, X and offers functions just as the security camera app. Doesn’t have an IFTTT channel. Only 50MB of free cloud video storage. Works on iOS 6 or newer. Works on iPhone 3GS and newer, iPad 2 and newer. Bonus: Previously, we have done a roundup of recommended free home security apps for Android and iOS users. Turn to the passage if you want know more about iPhone security camera apps. How can you set up the iPhone security camera, after you get the best security camera app? Let’s cut right to the chase with a step-by-step walkthrough. Step 1. Download the iPhone CCTV camera app from App Store, and install it on both iOS devices. You can use the older iPhone or iPad device as the security cam, and make your new iPhone as home security viewer and recorder. Step 2. Log into the iPhone security camera app on both iPhones and iPads, and make sure you log in with the same account. Step 3. Mount your iPhone security camera or iPad 2/3/mini security camera in the most appropriate location. Check where to place home security cameras if you are not sure. And you’d better locate the iPhone security camera near a power source, so that it can make 24/7 monitoring without running out of battery. Step 4. In the app settings, you can set up the iPhone security features you want, like motion detection, alerts, recording mode. Note: The night vision of your iPhone home security camera depends on the flashlight of your device. Turn the flashlight on if you need it to work at night. Then you can start watch the live stream directly from your old iPhone. When you are out, you can also see what’s happening in your house with the iPhone home security camera. iPhone runs out of battery. When your iOS device runs out of battery, the whole iPhone security camera fails to work. No Internet. Compared to those security cameras with iPhone app, your DIY iPhone security camera will more likely to run into network failures. And it may also slow down your home network. 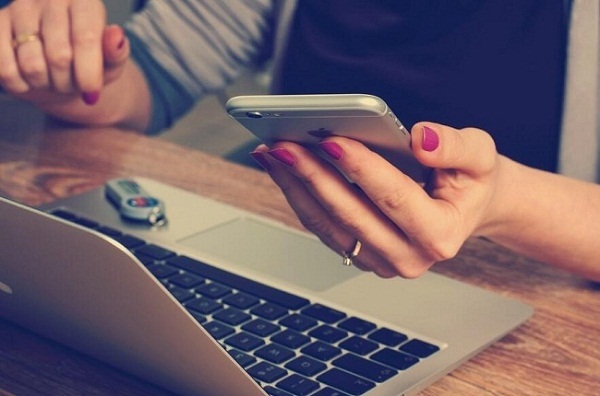 If the WiFi cuts out, you need to use the LTE data. Bad night vision. Most branded night vision cameras feature advanced IR technology, which ensures a long night vision distance, while an iPhone surveillance camera counts on its flashlight to see at night. iPhone is stolen or missing. If you lost your DIY iPhone home security camera, there is risk that your camera will be accessed by burglars. Note: The iPhone security camera setup guide also applies to the iPad security cameras which use an iPad as the monitoring device. Ready to turn your old iPhone into security cameras, baby monitors, and pet cam for free? I’d love to hear what iOS security camera app you use, along with how you make it run successfully. Actually, the professional home security cameras with iPhone apps are very affordable now. A quality class leading 4MP one could only cost you about $50 without any overheat or compatibility issues. This entry was posted in Buyer's Guide and tagged app, DIY, iOS, iPhone, security cameras.